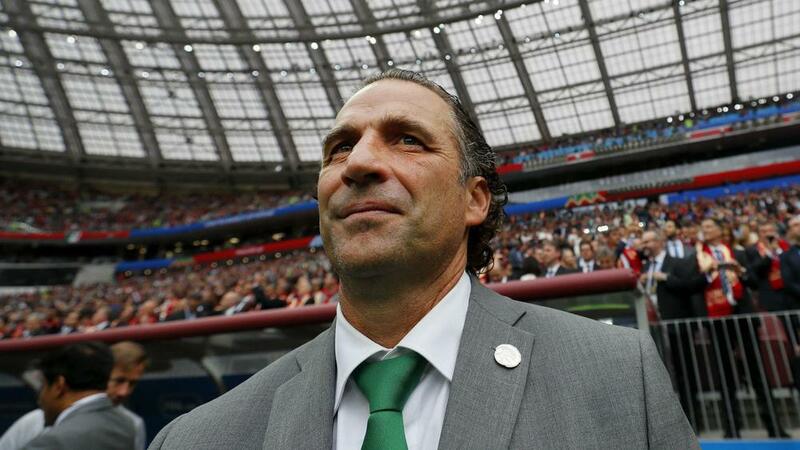 Saudi Arabia head coach Juan Antonio Pizzi was in bullish mood ahead of his side's tough Asian Cup last-16 encounter against Japan. A dispiriting 2-0 loss to Qatar in their final group game handed Saudi Arabia a tough route in the knockout stages, with the four-time winners up next at Sharjah Stadium on Monday. Pizzi has faced criticism for an overly conservative approach in some quarters but maintains his players are full of belief heading into the Japan showdown. "We are extremely happy to have qualified for the round of 16 as our ambition is to go forward in this competition," he told reporters. "We know very well we're going to face one of the favourites to win the Asian Cup. "They are considered Asia's best. But we are high on confidence, that's why we are here. It will not be an easy game for us but we will try to win." Former Chile boss Pizzi has sought to overhaul Saudi Arabia's approach by implementing a patient passing approach – one that will come under scrutiny against a Japan side long considered the continent's outstanding stylists. "Scoring is important but not conceding against an opponent like Saudi is equally important but we won't be too defensive," said Blue Samurai head coach Hajime Moriyasu at a pre-match news conference. "Anything can happen on the field but my players know what they have to do and they need to play as a unit. "I'm sure the Saudi team are very motivated, after losing their last match. We have to prepare mentally in order to win. "Saudi have strong individual players and are a good team. They can be aggressive in attack and in defence as well, so we must be prepared for that." The industrious Newcastle United forward has been hindered by a meagre goal return at international level but scored for the first time in Japan colours since 2015 against Uzbekistan last time out. He will be eager for more if given further involvement by Moriyasu, who likes to shuffle his pack. Former Levante attacker Al-Muwallad was on target in each of the Green Falcons' opening victories and represents the main threat to Japan. - Japan and Saudi Arabia are facing each other for the sixth occasion in the Asian Cup. Japan have won four out of five but lost 3-2 last time they met in 2007. The Saudis have made it through the group stages for the first time since they were losing finalists in that tournament. - Indeed, on each of the previous six occasions Saudi Arabia have made it out of the group stages at an Asian Cup tournament, they have progressed to the final (1984, 1988, 1992, 1996, 2000, 2007). - Moriyasu has used 22 different players in the group stages of the 2019 Asian Cup; two more than any other coach in the competition.